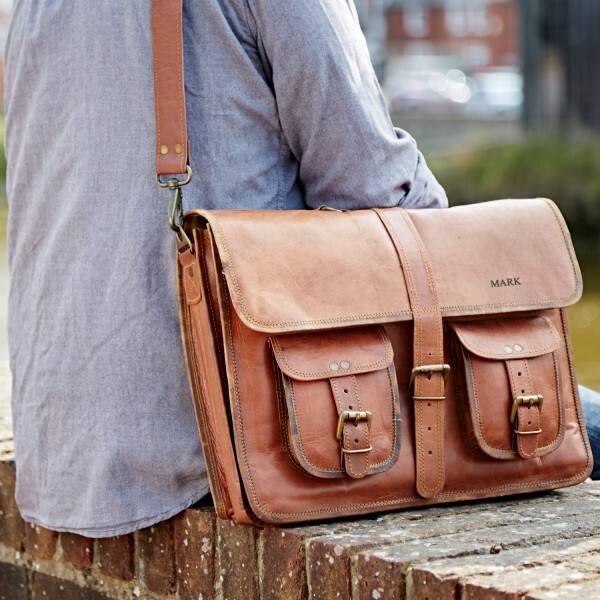 This impressive Personalised Large Brown Strap Style Leather Satchel is perfect for everyday use at work or college and makes a great gift for all occasions, especially a 3rd (leather) anniversary. 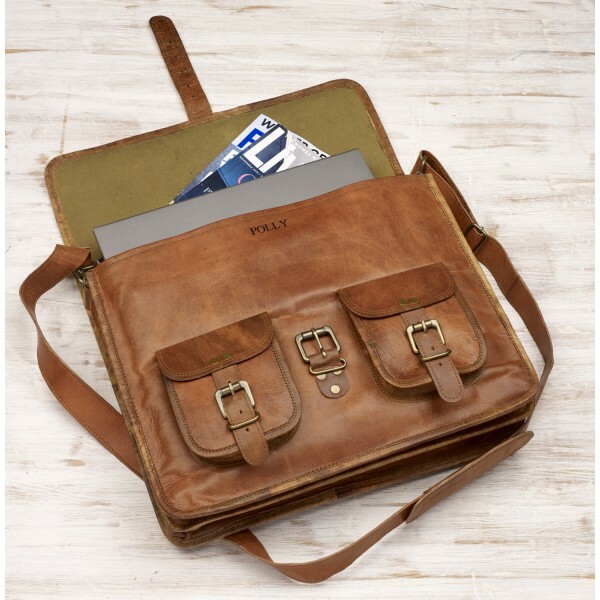 It can easily fit folders, a laptop and much more besides. 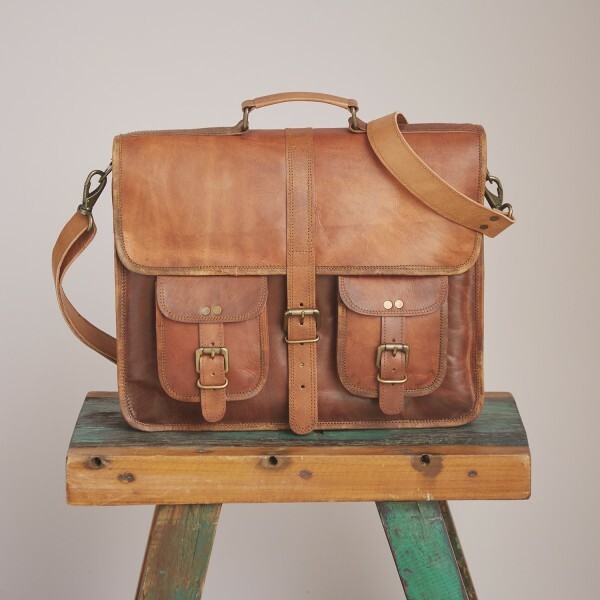 The bag comes with an adjustable shoulder strap and a sturdy handle on the top. 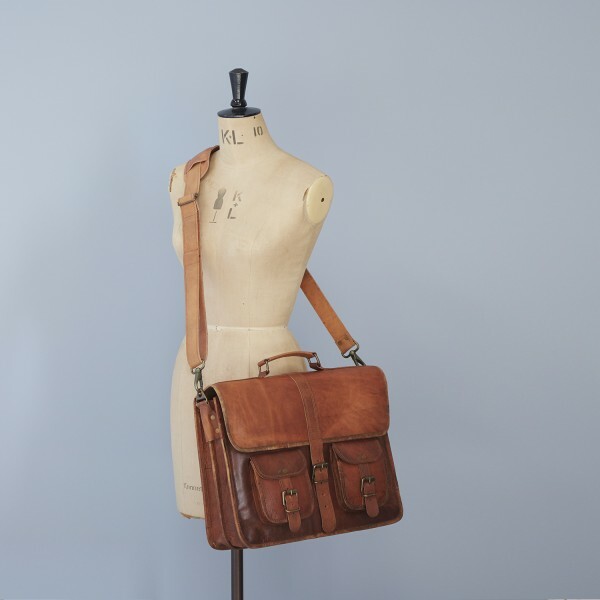 The main bag and the two outer pockets have wide straps and traditional metal buckle fastenings for a vintage feel. The inside of the bag is lined with canvas and split into useful sections. The bag has zipped compartments on both sides and a large zipped compartment down the middle for security. 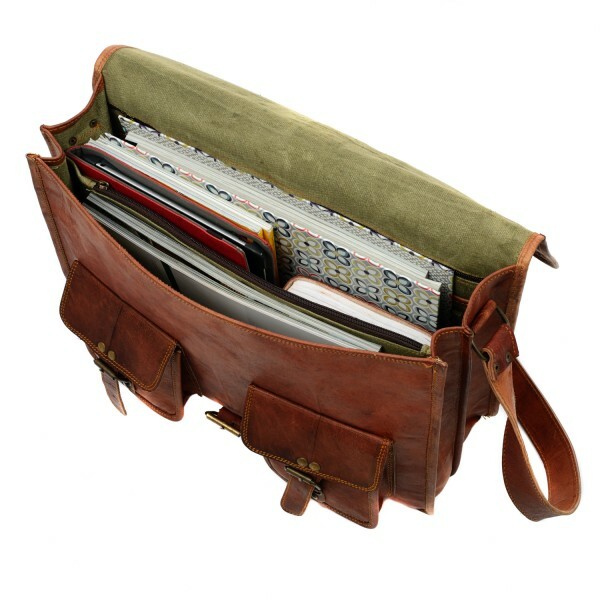 It also has two further dividers, each with their own pocket for you to store your phone, pens and other essentials. 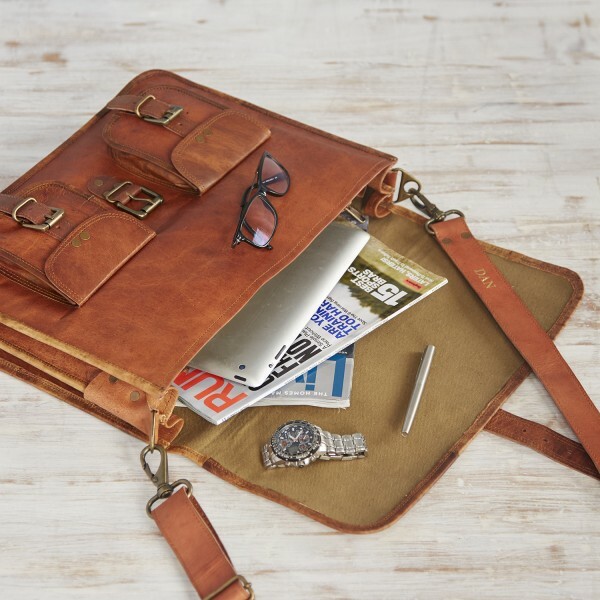 With this bag you can be sure that your life is going to be a whole lot more organised! 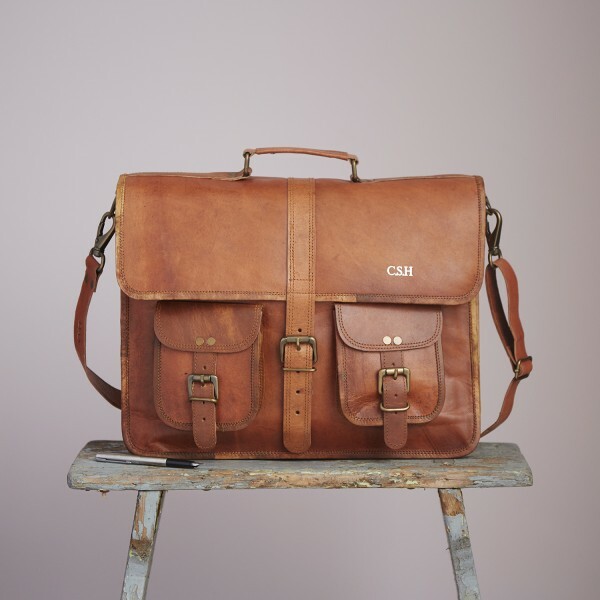 You can personalise your bag via the options in the personalisation tab. Personalise on the front flap, hidden under the front flap or on the strap as shown in the images with up to 7 characters. 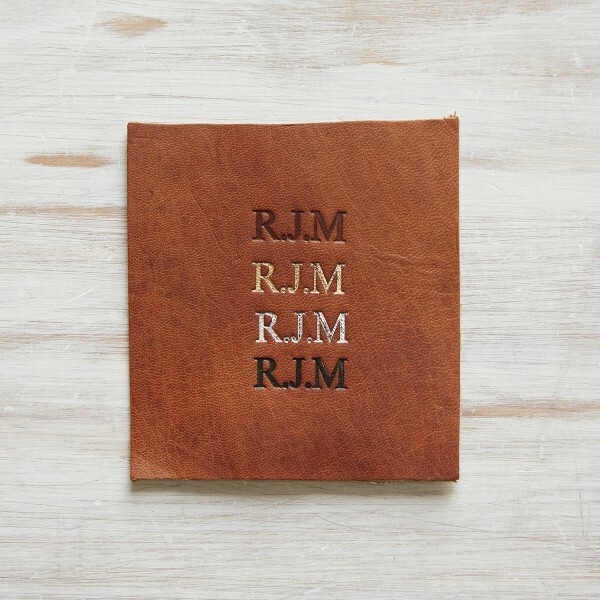 Letters are vailable in either gold, silver, black or blind debossed (no colour imprint). Dimensions 30 x 40 x 13 cm or 12 x 16 x 5 Inches. 1st class Royal Mail delivery (£1.95). Your Personalised Large Brown Strap Style Leather Satchel will be dispatched within 1-2 days and will be delivered within 3-5 days. We will notify you once your order has been dispatched.